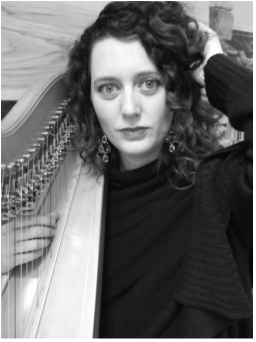 ﻿Catherine Case has held Principal Harp positions with the Sarasota Orchestra, Dayton Philharmonic, Singapore and Yucatan Symphonies, and was Assistant Principal Harp with the São Paulo State Symphony Orchestra in Brazil. She currently serves as a substitute harpist for the Seattle, Tacoma and Oregon Symphonies as well as the Pacific Northwest Ballet and Seattle Opera. Catherine also plays frequently in the 5th Avenue Theatre Orchestra, and is on the original cast recording of “A Christmas Story: the Musical!” Catherine has been featured as a soloist for the Island Shangri-La hotel in Hong Kong, where she also taught many students through Hong Kong Harp Services. She has served as a faculty member at the Rocky Mountain Springs Harp Program, and the Marrowstone Music Festival. Catherine has recently been appointed harp faculty at University of Puget Sound and Pacific Lutheran University. As a winner of the prestigious Ima Hogg competition in 2001, Catherine was a featured soloist with the Houston Symphony, performing Ginastera's Harp Concerto. She has also performed various concerti with the Vancouver (WA.) Symphony, Breckenridge Festival Orchestra and the Shepherd School of Music Symphony Orchestra. A lover of new music, Catherine can be heard on the world premiere recording of "In the White Silence" by John Luther Adams. Upon the recommendation of the composer, she performed Adams’ “Athabascan Dances” for harp and percussion at the 2006 National Harp Conference in San Francisco. She was also part of the Seattle Symphony harp section for the premiere of his "Become Ocean" and subsequent Carnegie Hall performance. Catherine currently serves on the board of the American Harp Society as Northwest Regional Director.